Great news for Arduino Nano owners!!! 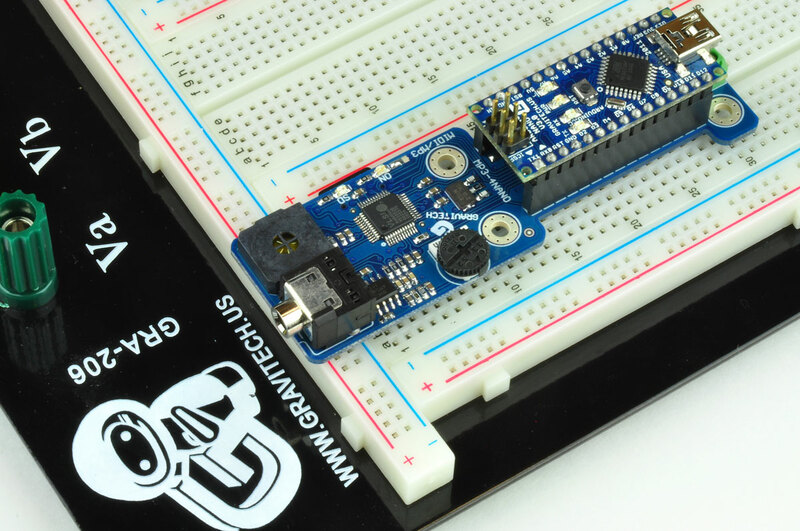 This add-on module allows you to play MP3 files using the Arduino Nano. 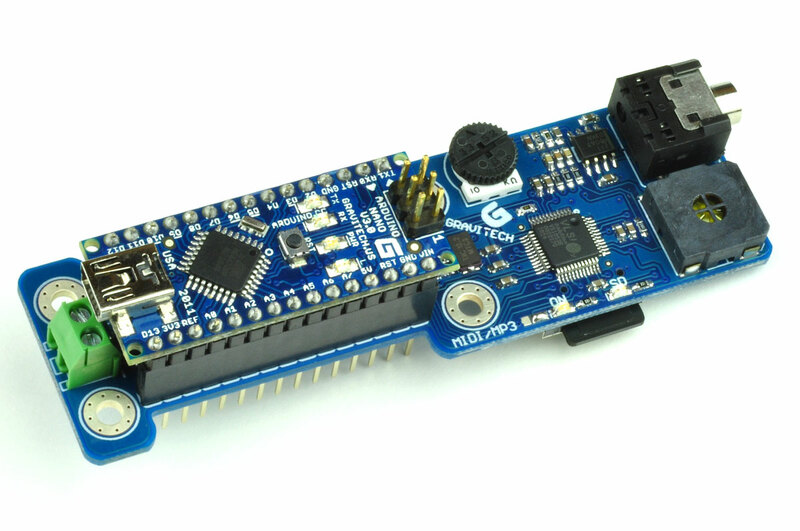 You get all of the benefits of using the Arduino Nano. 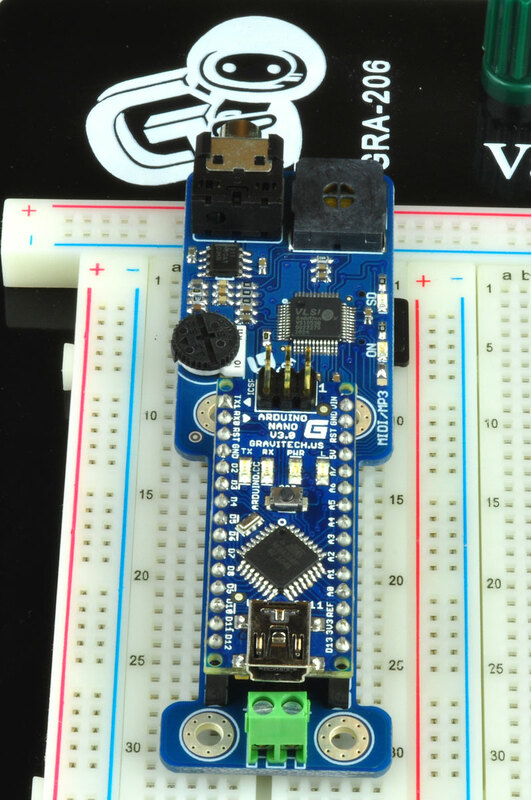 This includes breadboard friendliness for quick prototyping. 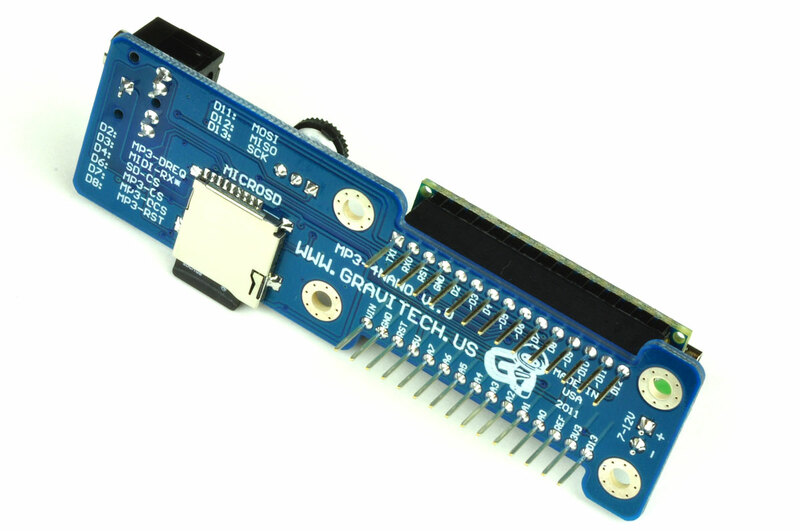 It is fully assembled with long pin headers so you don’t need to purchase and solder the headers separately. You’re ready to go out of the box! Yes, you get the same stackable benefits as the Arduino shields. It small size of 3.7”x1.1” makes it easy to hide or fit in a small project box. 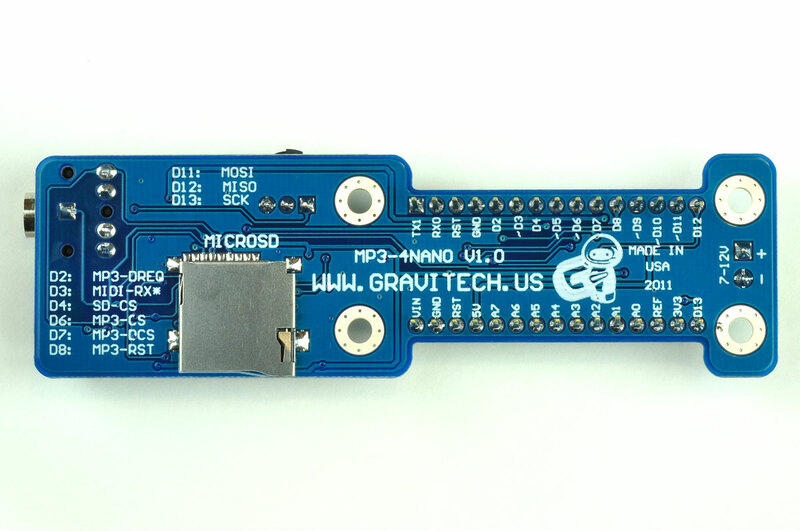 The MP3-4NANO module comes with the audio amplifier, volume control and on-board speaker. You can start playing your tunes out of the box (you’ll need a MicroSD card with MP3 files). Or you can plug in a pair of speakers or headphones with a 3.5mm jack for the stereo output. The board automatically shuts off the on-board speaker once it detects the external speaker. 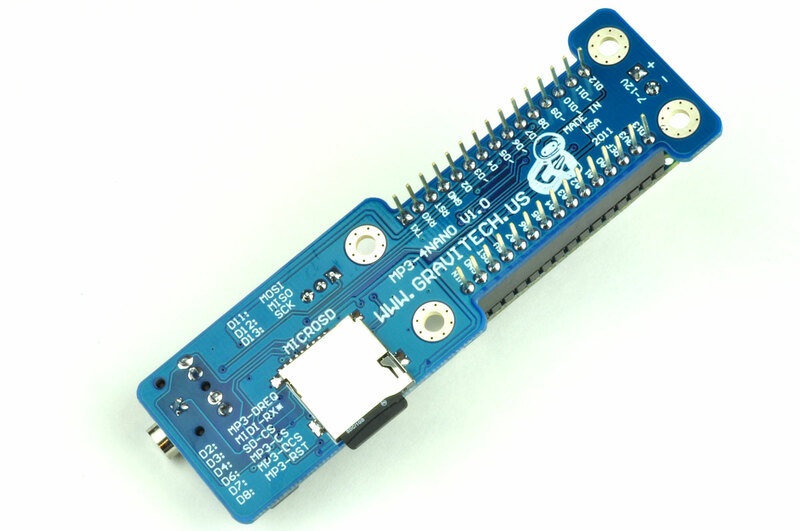 This module is based on the VS1053B MP3 decoder IC. This IC is also capable of decoding Ogg Vorbis, AAC, WMA and MIDI. 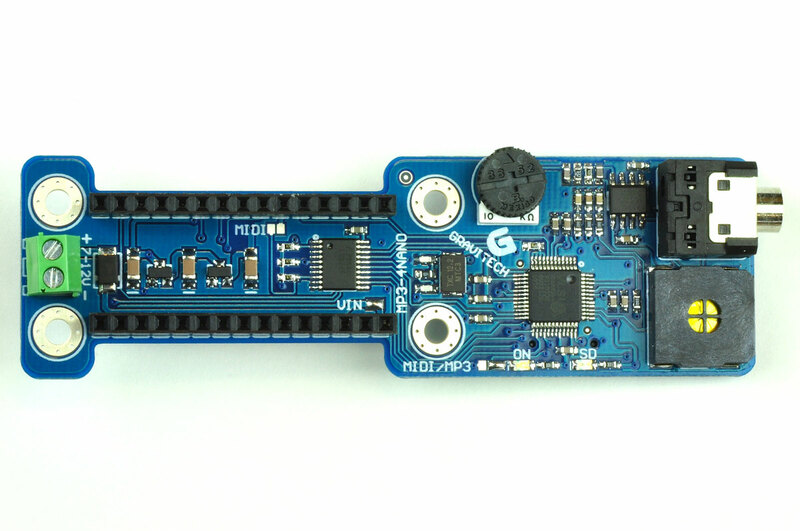 This board can run example code from Sparkfun’s MP3 Player Shield with modification of SS_PIN = 4.